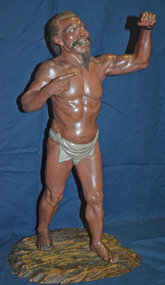 An Extraordinary and Scarce, Museum Quality Find. 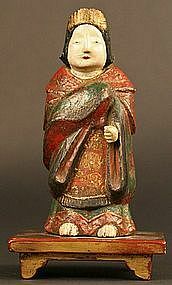 Early 16th Century Muromachi Period Saga Ningyo of the Goddess Kannon, in a rare and elegant standing form. 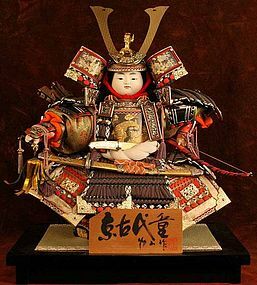 Carved entirely of wood, her costume is built up with pigments in a technique called 'moriage'. 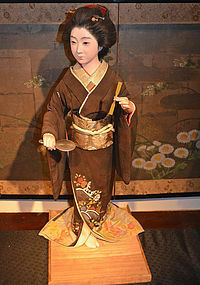 Her gorgeous robes are decorated with foliate scroll slightly raised in relief. 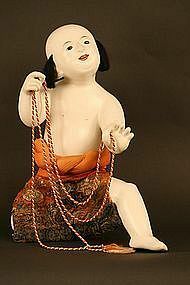 This rarest of all Ningyo forms almost never comes up for sale and are never seen except in museums or important private collections. 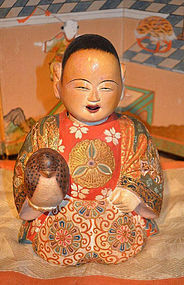 Saga Ningyo are considered the "holy grail" of Ningyo. 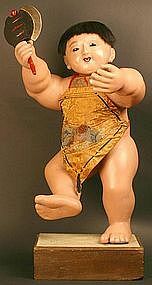 This fine and exceedingly rare example is one the first produced in the 16th Century. 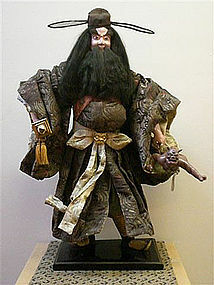 5 inches (13cm) high (figure only, not including base). 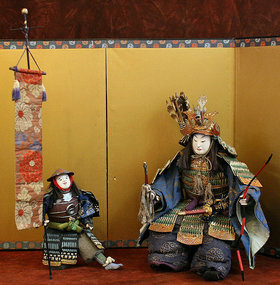 Base: 3.25 inches (8cm) wide. 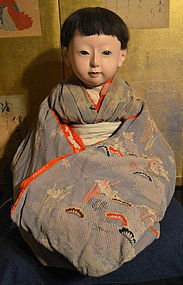 Early 19th Century Edo Period Standing Gosho Ningyo with fine Mizuhiki ribbons painted hair. 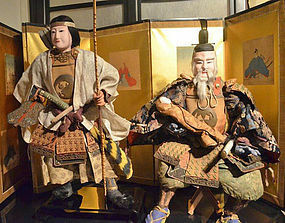 There are several forms of Mizuhiki, including one used to tie the hair of samurai. 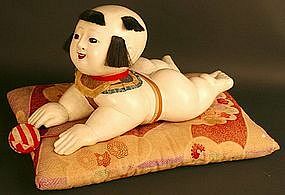 This fine ningyo has a round, well executed face with a charming expression, and is covered overall in a fine white gofun with painted features, sexed, and dressed in red chirimen silk crepe. 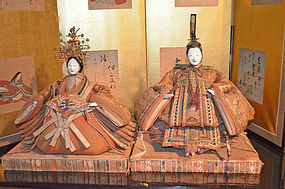 Gosho-ningyô (Palace Dolls) are one of the most distinctive forms of Japanese doll. 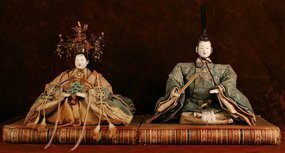 They were given as gifts within the imperial family. 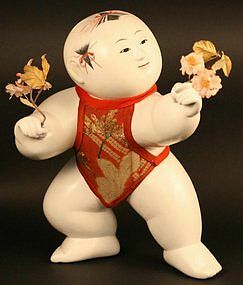 This chubby boy is in a playful pose holding cherry blossoms made of silk and paper. 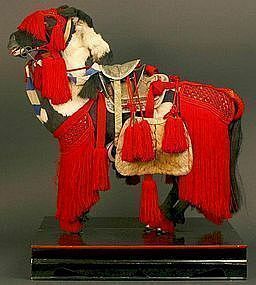 13 inches (33cm) high x 10 inches (25.5cm) wide.